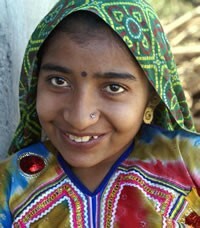 The Patelia are a Scheduled Tribe in Gujarat, where most live. They typically work in some aspect of farming. The men regularly consume alcoholic drinks, smoke bidi and cigarettes, and chew tobacco and betel. Their traditional community council is responsible for maintaining social control. 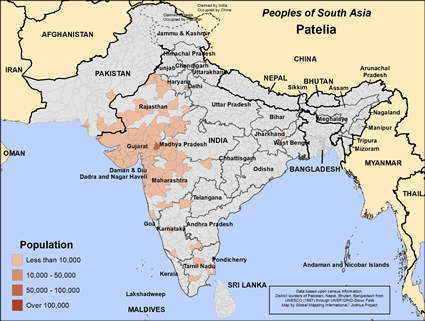 The Patelia are Hindus, and some practice ancestor worship. They are mainly worshippers of Shakti and Devi. Their sacred specialists are from their own community. The Patelia traditionally do not accept water or food from the Mama Bhil and Kotaliya Bhil communities as they consider themselves higher in the social hierarchy. Please pray for more workers to take the good news about Jesus to the peoples of India. Lack of workers is a significant barrier to the progress of the Gospel. Please pray for the Christians in this people group to gain a vision for reaching their own people. Pray for anointed leaders who can hold this vision up and who can develop realistic plans for moving forward with the vision. Pray for prayer warriors to be called by the Lord to support this vision. Please pray for the Christians among this people group, and there are some. Pray they will become real disciples of Jesus Christ, obedient to his commands, filled with all the fruit of his Spirit. Pray they will honor Jesus in all they say and do. Please pray the Patelia will not experience fulfilment or satisfaction from their present religion, but instead will hunger to know the creator God, one who loves them and offers an abundant life through faith in his Son, Jesus Christ. View Patelia in all countries.